Welcome back. We're taking a quick break today from our roll out of the 2017 Hot List in order to mark a crucial event, the transfer of power between Barack Obama and Donald Trump. Much has already been said of our newly appointed 45th President, but today we'd like to take a moment to look back and celebrate the legacy of his predecessor. Barack Obama leaves office today, but he leaves a legacy of historic accomplishment that will ensure his iconic status in the history of this nation. It's a sad reminder of the political disinterest of the American people, and perhaps a reflection of the huge expectations that had been held of Barack Obama, that it became almost fashionable to ask mockingly "so what has he actually accomplished?" during eight years in office. But of course it's a ridiculous notion, when the things he has accomplished are so numerous and prominent, and so readily apparent for all to see. How does one even rate an outgoing President? Well first there's the obvious metrics: Barack Obama leaves office with an approval rating of over 60%, one of the highest of any outgoing President at any point in our history. Going further, his approval rating has remained above or around 50% for much of his presidency, and rarely dipped below the high-mid 40s. 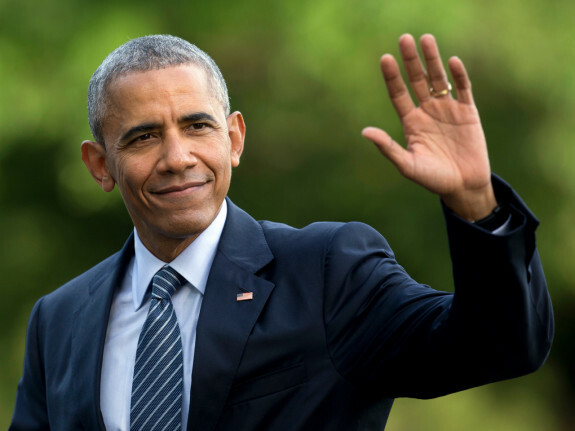 The level and consistency of approval that Barack Obama has enjoyed throughout his presidency is unusual by historic standards, and there is little doubt that he leaves office having been one of the most popular leaders this country has seen in decades. This is a view that has been shared not just by the general public, but by the experts. Presidential historians have so far been very favourable in their view of Obama's tenure, unusually so for a sitting President. The 2011 USPC ranking indicated that Obama would rank as the 8th greatest President of all time, while other rankings have consistently held him in the top 15 or so, holding him alongside the likes of Reagan, Clinton, JFK, LBJ, and John Adams. So Obama is very popular, both among the general public as well as the professionals who have built a career on making such evaluations. But what has he actually done? Well lets jump straight in with the obvious accomplishments. The American Recovery and Reinvestment Act of 2009, commonly referred to as "The Stimulus" is something that doesn't get anywhere near enough attention when people discuss Obama's legacy, even though it is arguably the most significant single thing that he did as President. Let's not sugar-coat it. The American economy was in free fall before Obama took office. The month before his inauguration, the economy shed 800,000 jobs, totalling around 8,000,000 jobs lost in one year under President Bush. In March 2009 there was a very sudden turnaround, and almost immediately the job losses were stemmed, and in less than a year we were back to positive job growth, which has now continued uninterrupted for an unprecedented six years. The unemployment rate has gone from 10% to under 5%. The above graph makes it pretty indisputable though, the turning point was March 2009. So what happened at that exact moment? The passage of the Stimulus package. The numbers are pretty hard to deny, the Stimulus turned the economy around. Most economists are unanimous that without its passage, the country would have plunged into a second great depression. Take a moment to appreciate what that really means: massive economic devastation, the associated loss of both livelihood and life. This single act of saving the US economy would ordinarily have been more than enough to ensure Obama's place in the history books, but really it's only the tip of the iceberg. 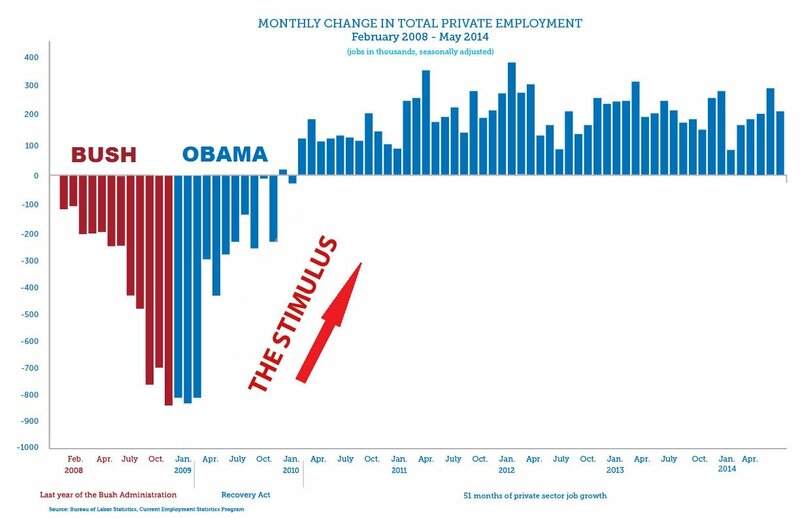 The Stimulus was really far more significant than just that. Not many people seem to appreciate this, but the Stimulus was the biggest middle class tax cut in history, the biggest investment in infrastructure in history, the biggest investment in green energy in history, and the biggest investment in education in history. This was not just a patch to stop the boat from sinking, it patched the boat and on top of it built the foundation for a 21st Century America. It is Obama's magnum opus, and set the template for a new progressive vision for America, one that no amount of regression from his successors will be able to undo in its entirety. But of course, this is the signature piece of Obama's domestic agenda, the one that comes to mind for most people when thinking about Obama's legacy. There's good reason for this: the American healthcare system was in crisis before Obama. An uneasy balance between a for-profit industry and a public service. America had appallingly poor healthcare coverage for its citizens, high costs that far exceeded any other developed nation, and a financial burden on the country that played a significant role in the nation's spiralling deficits. The Patient Protection and Affordable Care Act accomplished many things. It expanded healthcare coverage to 30,000,000 Americans, ensuring near universal coverage. It created insurance exchanges, online marketplaces designed to promote healthy competition among insurers and provide greater options to consumers. It overhauled healthcare regulations to allow children to stay on their parents' insurance plans until age 26, and banned insurers from refusing coverage to individuals as a result of poorly defined "pre-existing conditions". 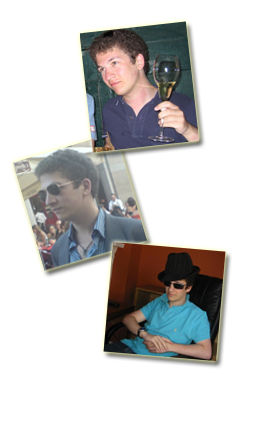 It additionally provided a massive investment for medical research, technology, and new data infrastructure. In short, it made people healthier, controlled costs, and brought American healthcare, at last, into the 21st Century. The results are clear: a lot more Americans have access to healthcare. More than that, the exploding national cost of healthcare has in fact been controlled. A lot of disingenuous hysteria has been made of the fact that insurance premiums increased by 25% between 2010 and 2015, completely ignoring the fact that they increased by 70% between 2000 and 2005, and then only increased by 3% in 2015-2016. These are incredible results, and show that the law has quite clearly succeeded in stabilising the nation's healthcare crisis. It is a great shame on America that such an obviously beneficial and common sense law could provoke such controversy as a result of cynical political scheming. The joke of it is that every single one of this law's provisions are extremely popular among the American people, and yet as soon as you call it "Obamacare" it becomes less popular. This is the power of marketing, and a damning indictment of how gullible and susceptible to propaganda the American people are. Arguably the most important contribution of Obama's presidency is that made to the fight against climate change, probably the most significant threat to mankind's future. In this regard, Obama will certainly go down as one of America's greenest Presidents. As mentioned earlier, the Stimulus bill included the largest ever investment in green energy. $50 billion for research and implementation of renewable forms of energy, making federal buildings more energy efficient, improving the electricity grid, and subsidies for electric vehicles. In addition, Obama will be remembered for the massive reform in fuel efficiency standards implemented under his administration. But probably the most significant accomplishment in combatting climate change these past eight years has been the finalisation of the Paris Climate Agreement, the largest and most ambitious agreement for the control of carbon emissions in history. The signing of this accord has been described as an "historic turning point" in the fight against climate change, and would be a worthy signature achievement of any presidency. An under-appreciated aspect of Obama's domestic policy have been the massive strides that have been taken in ensuring marriage equality during his presidency regardless of sexual orientation. From his administration's legal challenge against the discriminatory DOMA (now repealed), to his repeal of the antiquated Don't Ask Don't Tell law, to becoming the first sitting President to come out in full blooded support for for marriage equality, Obama has been a champion for LGBT rights. It is no surprise that following his clarion call the states finally began to pass their own legislation to, at long last, confirm by law the right of all people to enjoy the same rights to marriage. For a nation that prides itself on holding the freedom and equality of all people above all else, it was a national shame that this did not include the LGBT community until this moment. The acceptance of the LGBT community in the world's most prominent democracy is a huge step closer towards realising this idealistic vision. Any of these accomplishments would be a proud landmark for other Presidents, but there's so much more that could additionally be included. There's the implementation of Net Neutrality, something that effects all of us and ensures the equal and uncensored availability of information. There's the executive orders taken in order to reform and stabilise the immigration system. There's the budget deficit which has been decreased by about a trillion dollars per year during Obama's time in office. There's the Wall Street reform of the Dodd-Frank bill, which has largely kept the financial industry under control and introduced the Bureau of Consumer Protection. There's the bailout of General Motors, a move which is generally credited with saving the American automobile industry, and which was repaid in full, with interest. All of these are huge and crucial achievements. And of course one has to mention Obama's reshaping of the judiciary, with two Supreme Court Justices appointed by his administration. Both are extremely qualified academics, and quite notably both are ethnic minority women. This may seem a trivial point, but for a court that is supposed to represent the interests of a diverse nation, it was pretty shameful that it was almost entirely old white men. Obama has left us with a Supreme Court that better represents the nation over which it presides. For sure, there are areas where Obama has not been able to match his ambitions; the failed effort to pass cap-and-trade environmental policies, the inability to pass the DREAM Act which would have given young illegals born in this country a pathway to citizenship, and the lack of more comprehensive reforms in immigration and education. But without a doubt, the things that he has accomplished are still more than enough to make him one of the most effective and productive Presidents in modern history. Aside from his domestic policy, Obama is a President whose foreign policy has left an indelible mark on shaping the world around us during a particular turbulent point in history. Again, there's the obvious accomplishments. The ending of the wars in Iraq and Afghanistan, two wars he inherited. The largest ever nuclear arms reduction treaty, the START treaty. Finally catching Osama Bin Laden. But the most impressive part of Obama's foreign policy has been his bridge-building and his commitment to peaceful diplomacy. The landmark Iran nuclear deal that not only stopped Iran from getting nuclear weapons, but is now ensuring peaceful co-existence from a situation where his Republican rivals wanted a whole new war. The ending of the Cuba embargo and re-opening of diplomatic relations with that country. Under Obama, America has gone from being almost a pariah state to a valued and committed international partner, and the nation is more popular around the world than it has been in decades. It's easy not to realise just how big a deal that is, for America to have friends and partners, not to mention international respect. It means America no longer has to perform illegal unilateral actions, or bear the brunt of the world's derision for that matter. It makes America stronger, and the whole world stronger. It means we can actually get things done. That's not to say his foreign policy has been perfect by any means. Iraq is a mess, albeit one caused by his predecessor, and his inability to close Guantanamo Bay, while not within his power, is still a disappointment. But for any mistake or disappointment that one can raise about Obama's record in this area, one can only appreciate the openness and rationality behind every single decision. This is not a capricious President, or one who has taken actions behind a curtain of deceit and ulterior motive like his predecessor. Everything he has done has been a common sense move in the pursuit of his vision of a peaceful, more collaborative America. So as we enter a troubling and turbulent new era, it's worth appreciating Obama's successful eight years in office. An eight years which reminds us that the country can govern rationally according to common sense and reason, rather than making everything a political game or special interest case, fact and science rather than religion and dogma. A President with a calm head who deftly handles any international crisis, and manages to stay scandal free at home. Obama entered office with high ambitions, and has largely managed to live up to his rhetoric. America has some deep soul-searching to do, but whatever happens now, Obama's place as a towering figure in progressive history is assured.